Were jack-o'-lanterns always made with pumpkins? Can you design your own jack-o'-lantern? As Halloween approaches each year, you will begin to see carved pumpkins — commonly called "jack-o'-lanterns" — sitting on front porches all across America. As it gets dark, you'll notice that many of them are lit from within by candles, giving them a spooky glow that lets you know Halloween is right around the corner. Although millions of Americans carve pumpkins every autumn, not many know why or how this tradition got started. As it turns out, we can thank an Irish myth about a man named Jack. As the old Irish legend goes, “Stingy Jack" was a miserable old man who enjoyed playing tricks on everyone, including the devil himself. One day, Stingy Jack tricked the devil into climbing up an apple tree. He then placed crosses around the tree to prevent the devil from climbing down. Stingy Jack did not remove the crosses and let the devil down until the devil promised he would not take Stingy Jack's soul when he died. Years later, Stingy Jack died. Since he had been so mean to people all his life, Saint Peter would not allow him to enter heaven. Stingy Jack visited the devil in hell, but the devil kept his word and would not take his soul. Stingy Jack was scared to roam alone in the darkness between heaven and hell, so the devil gave him an ember from the flames of hell to help him light his way. Stingy Jack loved turnips and always carried one around with him in case he got hungry. 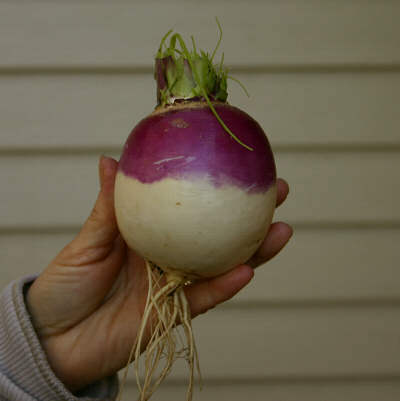 He hollowed out a turnip and placed the ember inside it, creating a lantern. From that point on, Jack roamed the Earth without a final resting place, lighting his way with his homemade lantern. He became known as “Jack of the Lantern" or “jack-o'-lantern" for short. 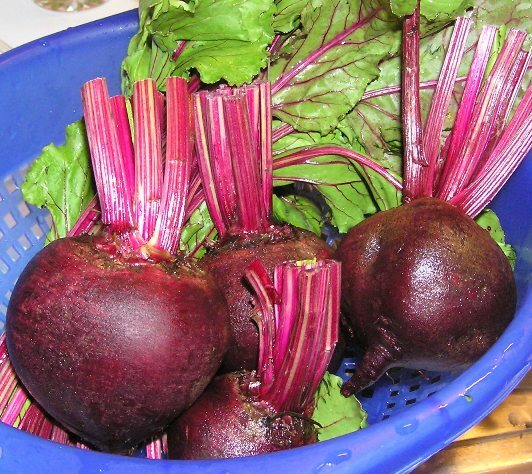 On Halloween, the Irish would hollow out turnips, rutabagas, gourds, and beets. They would put candles inside them to ward off evil spirits and keep Stingy Jack away. When Irish immigrants came to America, they brought the tradition of jack-o'-lanterns with them, but they soon discovered that pumpkins were bigger and easier to carve. Although the Irish legend of Stingy Jack is very popular, some people believe that the term jack-o'-lantern was first used to describe the strange, ghostly, flickering lights that are sometimes seen at night over bogs, swamps, and marshes. These lights go by several other names, including "will-o'-the-wisp," ignis fatuus, "hinkypunk," "ghost-light," "fairy light," "hobby lantern," and "corpse candle." The faint, flickering lights inside of carved pumpkins resemble these strange marsh lights. 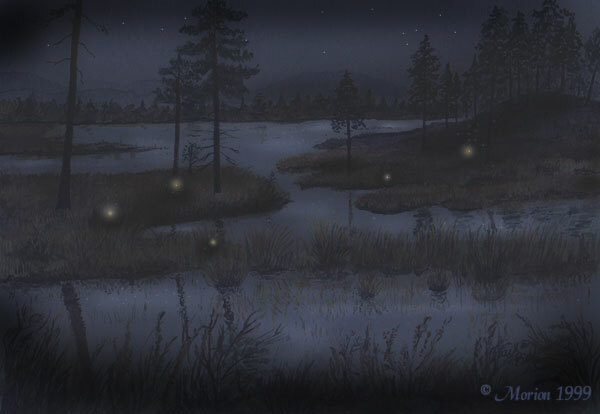 Curiously, some scientists believe these mysterious marsh lights are caused by small fires that erupt when organic material in bogs, swamps, and marshes decays, releasing methane and phosphine that spontaneously ignite when they come into contact with the oxygen in the air. Other scientists believe these strange marsh lights may be explained by bioluminescent plants, such as honey fungus, or even the white feathers of barn owls that fly around in the night. What’s that up in the sky? Find out tomorrow in Wonderopolis! Ready to create your own homemade pumpkin carving design? Do you want a really scary pumpkin? Or would you prefer a smiling pumpkin? Maybe you'd prefer to turn a pumpkin into your own unique artistic masterpiece…it's up to you! Check out these pumpkin carving templates online. Feel free to choose one of these designs for your pumpkin, or use one of these designs as a starting point and modify it to fit your own vision. When you have a finished design, enlist the help of an adult to help you carve your design into a pumpkin to create your very own homemade jack-o'-lantern! Remember: Don't try to carve a pumpkin by yourself. Be sure to ask an adult for help. If you really need some inspiration, check out these artistic jack-o'-lanterns. Can you make something this creative? How long do you think it took people to make these? Share your favorite designs with a friend or family member. We hope that you add this question to the Wonder Bank! Hi, thanks for making this article. I really like Halloween. And it is really helpful that I know what is a Jack o' Lantern. Hi, shawn! Have you added your question to our Wonder Bank? We're glad you found this Wonder helpful, Steven!! Thanks for WONDERing with us!! Hi! I was wondering who the author of this article is. I used it for a research project and i have to cite my resources. "What Is a Jack-O'-Lantern?" Wonderopolis. https://www.wonderopolis.org/wonder/what-is-a-jack-o-lantern. Accessed 3 Nov. 2017. 1. A jack-o-lantern is a pumpkin with a face cared on it. 2. No before people use to carve faces on other food. 3. Yes, you can carve your own pumpkin. Have you carved a pumpkin this year? We're glad you enjoyed this Wonder!! Easy for you to say, Joe. Hey, did you ever find your parents, by the way? Hi Wonderopolis I like this Story me and my friends at first thought that it was scary but it's not. What other stuff did Jack do that was bad. I don't know what you said about it and when i listen it starts an other story why does it do that? Hi wonderopolis! It is really cool how jack-o-lanterns started! Thanks for all you work by answering all the kids comments from around the world! Thank You!! If you take all the guts out of the pumpkin the put the candle in it can it burn? Like this video so much the best part was the pumpkin ate the seeds. Where did the name pumpkin come from? We now understand jack-o-lantern, but still wonder where pumpkin itself came from. Also, why do we dress up in scary costumes if the jack o lantern is meant to ward off evil spirits? Isn't that a conflict of intentions? Our 2nd hour wants to know if this is how "trick or treat" also stemmed and if you are asked to do a "trick" rather than given a treat... would one end up like Jack from the Irish Legend? Also, they made a connection- Is the headless Horseman Jack? Why did Jack begin torturing people and why did he enjoy playing tricks on everyone? Did he have bad past, did he get bullied? In general, we learned that the jack o lantern may have stemmed from the marsh light or bog lights, which connects to the candle of a jack-o-lantern OR, did the lantern stem from an old Irish Legend? In general, Blystone's 1st hour feels the Irish Legend is True! I love this video because it shows what to do to carve a pumpkin and I can't wait to try it. That JACK-O-LANTERN VIDEO IS AWESOME, but do you guys have a site on space, because I have always wondered about space. THAT WAS SO AWESOME!!!!!!!! IT WAS LIKE IT WAS MAGICAL AND SP..SP...SPOOOOOOOOKKKKKKYYYYYYYYY. IT WAS SO AMAZING. YOU KEEP PUTTING VIDEOS LIKE THAT ON HERE AND I WILL DEFINITELY KEEP READING ON WONDEROPOLIS! Wow, I actually really liked the video. Anyway, this was really interesting. I thought that today's wonder was really cool! I carve a pumpkin or two every year. It's fun to take the seeds and the slimy orange stuff out. After we carve the pumpkins, we put them on our porch so trick-or-treaters can see them. We always get compliments! I also thought the video was cool! I hope you can come up with more awesome wonders! :) I have a question, though. What is your favorite wonder so far? This was a very interesting wonder and I loved the video! I had no idea why people called jack-o-lanterns what they did, but now it makes a lot of sense! The myth about Jack is very cool, I learned it started from an Irish legend! I've always thought it was made up from stories about vampires and other Halloween creatures! I never thought it came from something Irish! Once I heard that pumpkins all started from a myth about vampires because they didn't like the smell so it would keep them away. This story is way cooler. I always love carving my pumpkin during Halloween time! I loooooooooooooooove the video, so does my brother!!!!!!!!!!! I go to Wonderoplis every day! Hi, Wonderopolis! My favorite exercise is push-ups. I LOOOOOOOOOVE THIS VIDEO AND THE COOLEST WONDER EVER!!!!!!! THANK YOU FOR THE AWESOME WONDER. PS: THANK YOU FOR EVERYTHING!!!!! Wow, Wonderopolis! This is sweet! I love the video! Our class got to pick a wonder and do a report on it, and I chose this one because it sounded awesome! :) I especially like the video! My family picked pumpkins today so this one reminded me of the pumpkin patch! Keep the cool wonders coming! You should do one about the founding fathers!! COOL VIDEO!!!! :) We loved the effects!! We have a field trip planned for next week to go visit a pumpkin patch. We are so excited to create some of our own jack-o-lantern patterns and carve our pumpkins at home. What a cool way to get into the Halloween spirit. My class got to choose any wonder for our homework, so I chose this one because I thought the title sounded very interesting! I love the video and how it showed to carve a pumpkin! I'll be sure to have jack-o-lanterns on my porch for Halloween when everybody goes trick or treating! I learned so many facts especially how the jack-o-lantern got its name. I thought it was so cool that I showed my mom and she loved it! Great wonder! I've never heard any of these myths! They're so interesting! I wonder what tomorrow's Wonder of the Day is? Wonderopolis is so awesome! Dear Wonderopolis, That video was pretty unique. It was interesting how they made those cool behind the scenes. That video was probably challenging to make, but it turned out phenomenal. I think tomorrow's wonder is about patience. Over the weekend, I made my first jack-o-lantern ever. It was a HARRY POTTER jack-o-lantern. It was so cool. I liked taking out the pumpkin guts! I LOOOOVED today's wonder! I am so coming to Wonderopolis tomorrow!!!!!!!!!!!!!!!! I love this wonder! Why would a jack-o-lantern be called hinkypunk? I am working on my headstand and I have a time of ten minutes. On Thursday, I'm sending my application to the records website and wait for them to get back to me, but thanks for the support. Good Wonder on jack-o-lanterns. Halloween is my favorite holiday. 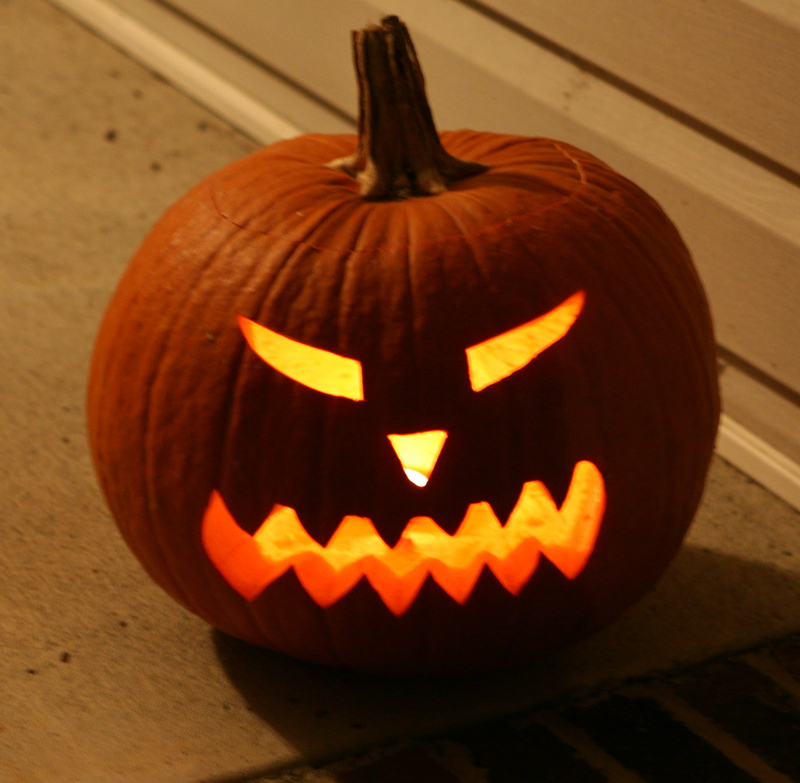 The legend of the jack-o’-lantern might date back to an Irish myth about a character named what? The first jack-o’-lantern was probably made with what instead of a pumpkin? Which of the following is NOT a name for the ghostly, flickering lights sometimes seen at night over bogs, swamps, and marshes?